(as of 04/27/2016 05:11 UTC)Product prices and availability are accurate as of the date/time indicated and are subject to change. 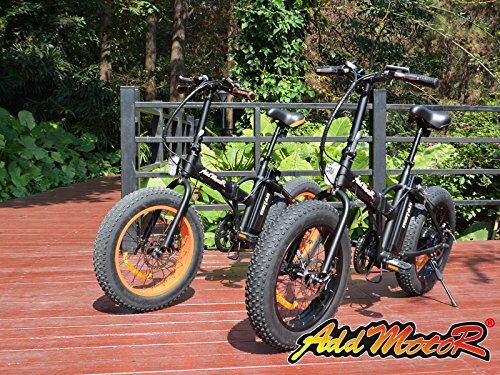 Any price and availability information displayed on Amazon at the time of purchase will apply to the purchase of this product..
Color: Orange/Mattle Black Battery: 48V*10.4A Samsung Lithium Batteries In A Sealed Removable Pack Motor: Bafang 48V*500W Rear Hub Motor- Special Design For Beach/Mountain Bike Rear Gears: Shimano 7 Speeds TX55 Gears Speed: Electric Bicycle 20 mph Distance: Electric Bicycle 30-40 Mile Range Charger: US Standard DC Smart Charger Charger Time: 4-6 Hours, Depending On The Battery Status Indicator : Headlight Include Led Throttle Type : Variable Speed Control - 1/2 Twist Throttle Frame: 6061 Aluminum Frame Handlebar: Black Aluminum Handlebar Seat Post: Quick Release 40cm Paddle: Aluminum Black Paddle Brakes: 160mm F/R Alloy Disc brake Bell: TaiWan Zhiqing Integrated Bell Freewheel : Shimano Pro Freewheel 7 Speeds Front Hub : High Performance Hub Tire: Kenda 20'' X 4.0'' Fat Tire Appropriate Height: 5'4"-6'4" Maximum Load: Electric Bicycle 300lb Spokes : 18 Spokes Warranty - Technologies 2 Years . Motor and Battery 1 Year Warranty. 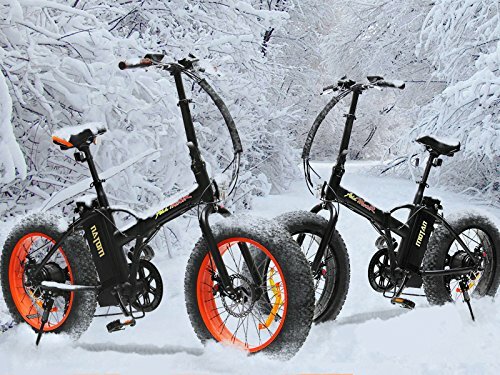 MOTAN Folding Electric Bicycle has High-density rubber tires that are 4+ inches wide and they are designed to handle all sorts of terrain like snow, sand, rough trails, the urban jungle (curbs, stairs) and anything else you can think of. 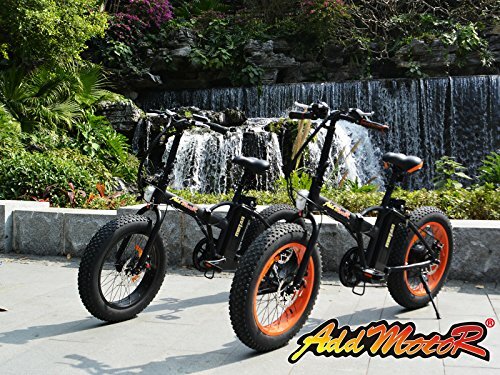 With the development of electric bicycle, folding E-bike will become the mainstream of the city,20" very suitable for most people, it's very easy put it in your car. We equipped with an more thicker and wider seat that the rider did not feel tired after a long ride. 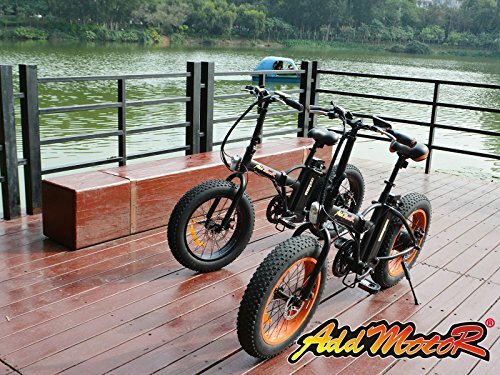 According to the test results, this E-bike is suitable for the people who is 5.4-6.4 ft height. If you are an avid bike rider, this is a select that you will not regret. Because it has brought to you a lot of enjoyment. 20'' X 4.0'' Fat Tire For All Terrain.